GlobeConsultTM celebrates twenty-six (26) years. GlobeConsultTM continues project at SSC. 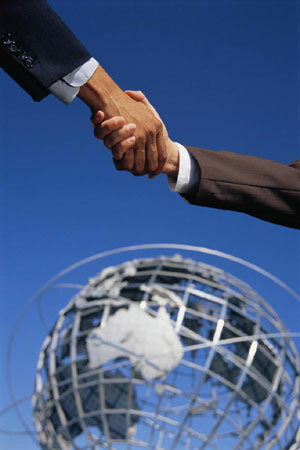 GlobeConsultTM has vast experience developing business plans, SOWs, RFIs, RFPs and business cases. GlobeConsultTM has developed a unique methodology process for Community Broadband Development Projects. Check out our main services - Business Analysis and Business Transformation, Network Planning and Design, Technical Writing, Network Architecture Development and Management and Technical Sales Support. .
GlobeConsultTM offers experience in new Wireless LAN Technology - WLAN. Check out new discounts on our professional rates. Résumé of David du Feu (Word). GlobeConsultTM Corporation was founded in November 1992 by its current president David K. du Feu and received its Canadian federal incorporation in March 1993. GlobeConsultTM has undertaken many projects, large and small, in many countries around the world, including the United States, Indonesia, Uganda, Sri Lanka, Portugal, United Kingdom, Vietnam, Taiwan, and of course Canada. We have the necessary expertise and resources to offer unique solutions to complex problems. 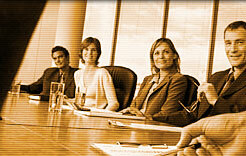 We offer expert consulting on any size international, national or local telecom project. We have access to a large base of highly specialized personnel experienced in all aspects of telecommunications network requirements; including, emergency public safety services, business analyses, technical writing, documentation control, design, planning, implementation, operation, administration and management, with emphasis on market surveys, feasibility studies, needs assessments, technology gap analyses, user guides, manuals and business plans, and developing solution options for business transformation. This included developing Project Charters, Project Scope, Communications Strategies and Plans, and Training Strategies and Plans. We can provide assistance at any stage of your project, from inception through to implementation and operation. We have particular experience in Business Analysis, Business Transformation, writing business cases, RFIs and RFPs, assessing bid submissions, responding to bidders' questions, and designing, developing and implementing community-based, high-speed rural telecommunications, N11 specialty code facilities and Voice over IP (VoIP) networks. We have developed a unique methodology for assessing the feasibility of Community Broadband Networks providing a comprehensive, highly effective communications solution for community institutions such as schools, universities, hospitals, businesses and governmental agencies whereby a single, powerful and integrated network links all community applications. We have considerable expertise analysing analogue in-field emergency communications systems and subsequent upgrading emergency public safety systems to digital systems such as, LTE (Long Term Evolution), P25 (Project 25) and upgrading existing analogue systems to Simulcast. Some of our larger customers have included: Shared Services Canada (SSC), The County of Frontenac, Ontario, Canadian Food Inspection Agency (CFIA), Public Health Agency of Canada (PHAC), Health Canada, Public Works and Government Services Canada (PWGSC), Department of National Defence (DND), Human Resources and Development Canada (HRDC), Canadian Museum of Nature, Heart & Stroke Foundation, PT Telkom Indonesia, Viet Nam Post and Telecommunications, Portugal Telecom, Uganda PTT, Lanark Communications Network, Town of Perth, City of Ottawa, the United Way, Heritage Canada, The Aga Khan Fund for Economic Development (AKFED), Saudi Telecom, Bell Canada, Stentor (Telecom Canada), Kootenay Association for Science & Technology (KAST), Town of Mississippi Mills, The Access Centre for Community Care, City of Guelph and the County of Wellington.